Best Running Trails of the San Francisco Bay Area. Thousands of miles of gorgeous single-track trails await the visitor. Too-Fast Training for the Compleat Idiot Runner. Going just a tiny bit too fast on easy runs is the worst mistake a runner can make. Hot Weather Hydration — Proceed With Caution! Science gets it…wrong again. Drinking ‘til your belly bursts is dangerous. Spiked Online Nails It About Justin Gatlin. And the British fans got it horribly, despicably wrong. The Sucky Side of Sports Today. Sports today is too much about the surface, the sheeny, shiny new instead of the eternal human, joyful essence. Alberto Salazar and the Pecksniffs. Are the drug accusations true? Thoughts on the allegations, the evidence, and the gutter press. Richard Sherman’s Classy Coach. Sherman’s breakdown was a fleeting moment; Pete Carroll’s response was inspired. Jordan Hasay’s Brilliant Decision. Wonderful news for her fans. Must College Spell Doom for a Distance Runner? Too many runners have been flushed down the U.S. college system, by coaches hoping to advance their careers. This holocaust must stop! Fat Girls. Women will never be convinced that size doesn’t matter. Born to Booze. Are the Tarahumara worthy role models? Defending Jeff Galloway. The countless “Gallowalkers” make fast marathoners look good. “True Sport” at the Olympics. The Games tell us our own story. Both Sides Now. Kids find joy in sports with positive encouragement, not blame and shaming. “Sluggish Newbies” Make the Marathon Better. In defense of slow runners. Jeff Galloway’s Run-Walkers: No Class? 3-hour and 5-hour finishers have much in common. Bill Walsh’s Lessons for Runners. The coach of three Super Bowl champions changed sports forever. Happiness & Success in Sports. 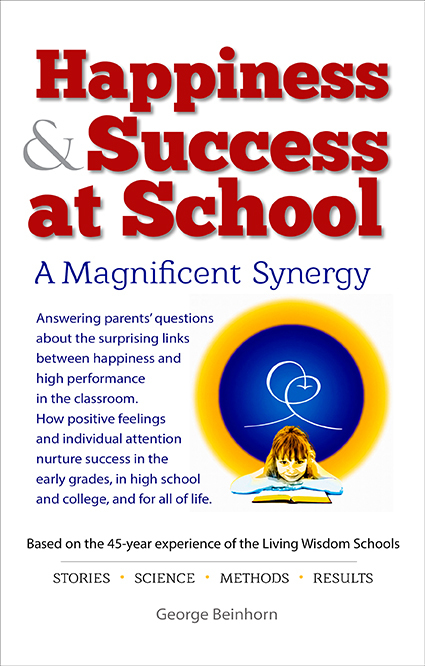 Introducing a new book by the author of Joyful Athlete. Happiness and success are linked at high-tech corporations, as well as everywhere else. Coaches with Heart. Thoughts on team culture and the psychology of success. Milt the Magician. Stanford NCAA 5,000m champion Grant Fisher reveals the truth about Coach Chris Miltenberg: the guy knows how to take care of his runners. Stanford and the Warriors: Taking Care of Sports Stars. Warriors coach Steve Kerr and Stanford T&F coach Chris Miltenberg place high value on caring for their athletes. Successful People Pay Attention. It’s the most basic and elemental secret of success in sports and life — and the Devil tries to distract our attention. The Arts and the Athlete?. It’s all the same thing: in the arts as in sports, the fundamental rules apply as time goes by. Humbled by Truth: Wise Words from Blanka Vlasic. All athletes discover the same basic truth: that expansive training leads to success, and contractive actions and attitudes are to be avoided. Struggling for Joy: Running Trails at Rancho San Antonio. Old putz looks for the perfect balance between performance and joy. Guess what? They go together. Rare Old Film Shows the Joy of Running. A wonderful forgotten film from the 60s captures the purity of the sport. 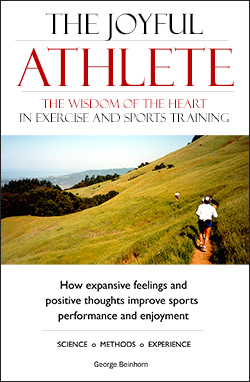 Podcast With George Beinhorn, Author of The Joyful Athlete. Interviewed by Krista Scott-Dixon, founder of , the leading strength-training website for women. Good Vibrations: How Running in a Group Can Help Your Performance. A four-century branch of science suggests training together has many benefits. Tony Holler’s Formula for Successful Track Meets, and Some Thoughts on Sports Photography. Success in any field demands energy, focus, enthusiasm, and calm intuition — and attention to the details. Huh! Upbeat Feelings Make Runners Faster. Tony Holler has the (electronically timed) results to prove it’s true. Upbeat Running — a Revolution in the Making? High school coach Tony Holler is refusing to let track and field die a slow, long, agonizing, boooring death. Serious Runner (Uh-Oh). In every field, including sports, joy in the moment is a powerful ergogenic aid – by increasing energy, it improves the odds of success. Planning My Next Life as a High School Athlete. Runners of all ages can find fresh inspiration in the practices of great, expansive-minded coaches like Tony Holler. Smartest Training Ever of a High School Runner? — Thoughts on Grant Fisher and Mike Scannell. Low mileage, no speedwork, and a ton of coaching smarts helped Grant Fisher win Foot Locker. The Most Relishable Run. The secret of progress and happiness is intensity in the last few reps or meters. Jobst Brandt’s Message for Runners. The data say the sport is growing, and, well, so what? Sport is about the individual: finding success and joy. Bill Aris’s Truth: How Heartfelt Running Makes Champions. Bill’s girls have won eight NXN cross country titles. How they’ve done it isn’t hard to explain. What Makes Talented Young Runners Great? Having wise mentors helps tremendously. Bad Guys, Good Guys, Runners Getting Better. Research says that running can’t make us moral. But it can give us a sandbox to practice opening our hearts. The Dalai Lama’s Simple Wisdom for Runners. It’s not complicated; running is about finding what really counts. Running Under the Influence of Love. Fast running and happy feelings go together; we need to watch the influences we allow to penetrate our brains and hearts. Upbeat Attitudes and Fast Running Go Together. Sciences conjecture, but runners know, that upbeat attitudes make us go faster. Expansive Sports. A chapter from the revised book. A Runner’s Search for Meaning. The quest for joy, in running as in life, leads through the heart. Stress and the Runner: It’s All in Your Attitude. Kelly McGonigal’s wonderful TED talk offers an important lesson for runners. Head Injuries, the NFL, and the Future of Running. In sports today, success and fulfillment come by understanding how to manage our energy. Rules for Runners. 13 keys to success from top photographer Chase Jarvis. Bill Rodgers’ Magical Book. Boston Billy had more fun than we imagined on his rise to the top of the marathon world. Developing the Run. What a former Delta Force commander learned can help us understand how to make better decisions about our running. Foxy Runners. Kent White told me a story about two plucky foxes with an inspiring message for runners. Seen While Running. What’s the story on this sculpture on the Stanford campus? Jack Foster — A Giant of the Sport. Foster’s 2:11 marathon at age 41 was amazing. Even better, he showed us all a wiser way to train. Mental Focus and the Happy Runner. Matt Killingsworth’s research points the way to the happiest mental running style. Running and the Good Life. Running is an all-around deal. We thrive and find joy when we avoid a too-physical approach to training. Why We Run — the Endless Question. We run for reasons that transcend the physical facts of the human body. Running’s Super-Hero Future. It’s enormously reassuring to discover new evidence that life — and training is orderly and meaningful. Dying to Run Well. The best progress, and the best runs, happen when we give up ego. Weirdness on the Golden Gate Bridge. It’s a beautiful, but not a peaceful, place to run; but with care, it can be blissful. Adapt and Survive — the Happy Runner’s Mantra. A runner’s greatest successes — and a runner’s greatest joy — come by doing the right thing. But how can we know what’s right? A Merry Heart Goes All the Way. Don’t let your “easy” runs destroy the runs that really count. Tough Guys. Eric L. Haney’s book Inside Delta Force<> carries a message for runners. Fun Runner: The Sane Way to Train. Success in the Olympics and in today’s training run doesn’t require an overly grim attitude. Arthur Lydiard and Swami Kriyananda: The Principles of Success Are the Same in Running and Life. The title says it all. Learning from Clarence Bass. The principles of training are the same for every sport. Runners and Demons. Runners who become obsessed with virtue lose out on the fun of the sport. Deep Space of Running. The universe will bend the rules of logic to teach a runner a needed lessons. Note to a Friend: Putting the Heart First. The shortest path to great running lies through a harmonious heart. Rescuing the Run. Sometimes, very rarely, a “bad” run can be very, very right. Garrent Kramer and “Stillpower”. Is willpower the fastest path to running success? Evidence suggests we need to embrace a broader perspective. Rhythm of the Run – Inner Harmony Reflects Good Training. Our inner world of music is mixed up with our success and enjoyment.a href=”http://joyfulathlete.com/2011/08/18/good-night-dave-dudley-wherever-you-are/”>Good Night, Dave Dudley, Wherever You Are. Year after year, running teaches us to seek wisdom in the heart. Lessons of Running: Faceplants and Fatigue. Experience teaches us to train by intuition; sometimes the lessons can be hard. The Faith of Ryan Hall and Desiree Davila. In running, our faith is tested where the rubber meets the road. Grease Spot Runner. Less ego equals more success. Two Kinds of Minimalism: External and Internal. Both are rewarding; but clearing our internal clutter takes us to the Minimalist Mother Lode. The Key to Running Success. A simple key to successful, enjoyable running. Runner’s Path. Running reveals the meaning of life. Every Runner’s Friend – 2010. This year’s winner, and a new trophy for big eaters. Keep It Simple. In life and running, simple methods bring big results. Buddha’s Snarky Advice for Runners. When runners need answers, intuition is often quicker than logic and reason. Faceplant. Call me credulous — I believe every faceplant carries a message from a benign and caring cosmos. Innies and Outies. Running has two sides; the best runs start and end within. Once More, With Feeling. The five stages of a run — managing them well guarantees enjoyable running. Pickin’ Up Good Vibrations. Places and People Can Make or Break a Run. Every Runner’s Friend. Dr. Armando Siqueiros guided Jordan Hasay with wisdom and humanity. Let’s Get It Wrong. Mistakes are inevitable; they’re part of learning and improving. Goosebumps From the Running Fringe. Spiritual practice on the run is a practical aid. Running Coaches vs. Running Teachers. The best mentors speak from personal experience. Heart & Structure. Intuitive training needs the steadying hand of discipline. Inside-Out Running: Getting the story right. Elements of a “High-Quality” Run. Quality is about more than speed. ‘Flow Running’ and Joseph Bharat Cornell. Strange similarity: nature awareness and running. Male and Female at the Races. Running is male and female, a balance of feeling and reason. Next Generation Running: Train With Your Favorite Star Trek Characters. Crash: The Perils of Contractive Training. We can’t find inner quality without honoring nature’s laws. Finding the Joy of Running. To find the sport’s enduring joys, cultivate calm feeling. “Getting It Together” on the Run. Bringing the 5 tools of a runner into a single harmonious flow can seem dauntingly difficult task — but it’s easy when we start in the right place. Have You “Found Yourself” as a Runner? The NY Times is wrong; good training takes both feeling and reason. Body Bust: When Good Training Gets Out of Hand. New information can sometimes carry us to fresh heights in our training – but only if we resist the inevitable temptation to take a good thing too far. Incidental Joy. Good runs happen and fitness improves when we’re in balance. Exploring Energy. Energy heals, and increases with positive thoughts and feelings. A New Direction: 5 Stories About Energy. The details of training matter only insofar as they help us generate a powerful flow of energy. Lucky Runs. Exceptional runs begin by accepting reality as we find it. Seasons of a Runner. Every run has three “seasons,” and each season has its appropriate pace. Seasons of a Runner 2: Children of Light. Getting the best from the seasons of a running career. A Runner Stumbles. Faceplants are Nature’s way of letting us know something’s wrong with our attitude. Simple Runner. In running and life, happiness accompanies simplicity and expansive attitudes of the heart. Solving the Riddle of Training. Runners can sometimes learn more from running than from thinking too much. Doing the Numbers. Numbers-based training is tricky – it needs to be tempered with calm, reasonable feeling. Twisted Path of a Distance Runner. Part 1 of my story: how I learned certain inner truths of running and life and came to write Fitness Intuition<>. Runner Meds. The key roles of serotonin, food, and positive attitudes. Song of the Road. Passively listening to music can increase a runner’s endurance up to 15%, but making music of our own gives much more power. Tarzan Go To Gym. 66-year-old ape man discovers it IS possible to have a good time lifting weights. Breathless. Little-known breathing methods make it easier to run fast. Lightly I Fly. A meditation on the Running of the Heart and the Running of the Mind. Training in the Age of Energy. Training is increasingly about nurturing energy, not following rigid systems. Whole-Hearted Runner. The heart knows how to train well and run happily. Ages of a Runner. A runner’s career evolves in stages, each with its challenges and rewards. Old-Man Training Plan. Making do with dwindling resources. Running Magic. Slow is the beginning of fast. There Are No “Bad Runs”. A difficult ultra brings opportunities and lessons. The Look. The self-images we aspire to can tell us a lot about our goals. Heart Zones. External versus internal heart monitor training. Half a Cheer for Overtraining. Doing too much has a (tiny) positive side. The Intuitive Runner. Does intuition work? Can you develop your intuition? Mental Drift or Mental Discipline? The best runs are built by paying attention. God & the Distance Runner: Elite runner Josh Cox doesn’t merely spout the words; he tests his religion where the rubber meets the road. Finding the Right Discipline. Not too hard, not too soft — good training and great runs take balance. Take Out the Papers and the Trash. More thoughts on energy-based training. Patterns of Energy. Say goodbye to the age of mechanical training. Where Runner’s World Went Wrong. Glitz and mechanics versus substance and soul. The Natural Zones of Training. When science takes a backseat to the wisdom of the body. Training – the Energy Game. Training well requires managing energy wisely. Running for Results. Research shows that running for rewards is not the best strategy.. The Art of Running, the Law of Running. To run your best, be a dancer, not a hard guy. The Way of the Heart. Finding the way to inner quality. Satisfaction. Cheap thrills or inner expansion? It’s a runner’s choice. Our Own Kind of Champion. Physical limits on running ability are real, but there are no limits to emotional and spiritual success. Two Nifty Ideas for Runners (long). Want more joy in your running? Just follow the rules. Running’s Big Unanswered Questions. When sports science lets us down, where can we turn for answers? The Runner’s Brain. New brain research suggests fresh ways to improve our running. Kids. To train well, consider how you’d coach a kid. Learning to Trust Your Training. It shouldn’t take 20 years to learn the keys to good training. A Face Full of Heart. Running well begins with self-acceptance. Oddly enough, so does living well. Crash. Nature abhors sudden changes – and in running, it abhors them with a vengeance. A Green Smoothie for Performance & Recovery. The immune systems thrives in a slightly alkaline metabolic environment, with repercussions for recovery times. Let’s Eat Weird. Quick and easy nutritious recipes for athletes that taste good (the recipes, not the athletes). The Joyful Athlete Secret Cure for Jock Itch (and Low Energy). Fun’s fun, until these athlete-hostile nutritional deficiencies get ya. Best Ergogenic Brownie for Runners & Cyclists — 2015. These bars are dynamite, but they taste a lot better. Put Iron in Your Legs Like the Ethiopian Elite Runners with this Teff Pancake Recipe. Teff grain is packed with iron, calcium, and protein. Some say it’s a factor in the Ethiopian runners’ success. Super Runner. A surprisingly successful experiment with chia as a running aid. And suggestions for relieving unwelcome kidney stones. Upbeat Sports Stuff: Budding New NFL Team Culture Bodes Well. Warm fuzzies on the practice field? Watch out! Dumb Jocks at Stanford? Yeah, good luck with that. What Makes a Champion? Dan Pfaff sets a high bar, and Phoebe Wright sails right over it. Steve Kerr on Expansive Sports. Even when he played for the Bulls with Michael Jordan, Kerr revealed the qualities that have brought him success as a first-year NBA head coach. Boston Marathon Lead-up — Runner’s World Did a Brilliant, Wonderful Thing. The magazine has never published a more inspiring piece that I’m aware of. For Runners, Happiness Is Ergogenic. Former marathon record holder Ingrid Kristiansen credits two factors for her success: aerobic-paced running, and running in places that engendered happy feelings. Lighten Up, Mr. Gradgrind Runner. Research and the experience of elite-level runners strongly suggest that happiness and group training provide a powerful competitive advantage. Stephanie Jenks Cross-Trains. What is it about former triathletes and swimmers that makes them so successful when they switch to running? Rob Krar Wins WS100, Trains by Feel. Another elite who listens to his body’s wisdom. Jordan Hasay Thriving After Oregon. Jordan is becoming the runner she hoped she would be. The Mindfulness of Running Coach Dan Pfaff. Dan believes positive attitudes give runners an edge. Ugly Runners at Home & Abroad. Could sprinters please tone down the arrogance? Running Focused with Fierce Passion. Research on itty-bitty kiddies shows passion is the shortcut to strong focus. Why Cynicism is a Deadly Habit for Athletes. Sourpuss attitudes place us at risk for senile dementia. Jacko Gill’s All-Out Training. The young New Zealand shotputter’s spirit shines in a very amusing video. Steve Magness, etc. I love Steve’s practical approach to training.